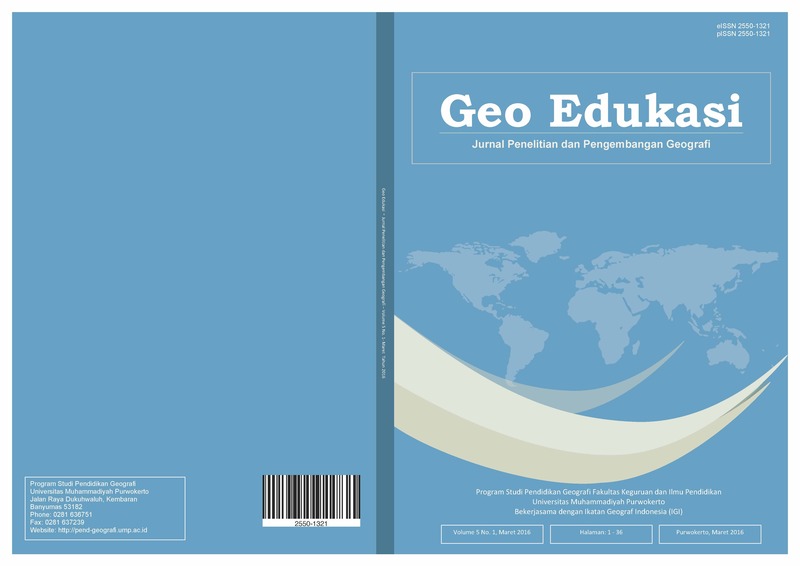 Geo Edukasi : Indonesian Journal of Geography Education is a scientific journal that publishes scientific research papers/articles in geographical and educational related field. The scope of this journal includes geography didactic, physical geography, human geography, spatial and regional analysis including application of GIS and Remote Sensing. Geo Edukasi is published by UMP Press, Universitas Muhammadiyah Purwokerto, that published twice a year, every March and October. Download our template using this link.